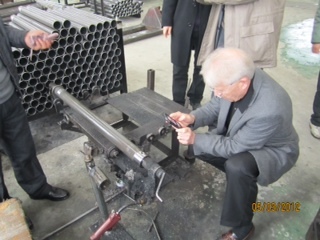 Last week, I was in China visiting three of the plants that manufacture equipment for Eagle Equipment and Tools USA. A picture of my visit to one of the plants was posted on facebook. We were immediately inundated with comments that were ugly, obscene, and questioned my patriotism. This is in response to those comments. My family roots in this country can be traced back to the 1600’s, before there was a United States. My ancestors fought the British in South Carolina during the American Revolution. My family served and died for both sides in the Civil War. And I have had relatives serve our country in every war from WWI to Afghanistan and Iraq. My father and his father were lifelong members of the machinists union (AFL/CIO) in the airline industry. My mother’s father played football for the University of Alabama in 1917 and 1919 (no team in 1918 because of the war). My son spent ten years as an officer in the US Army, serving in Kosovo, Iraq, and Korea. I love my country and I am proud of my family’s American Heritage and my lineage. Ten years ago, Standard Tools manufactured all of our products in the United States. We paid above average wages and provided good benefits to our workers. Gradually over the years, we became less competitive because we could not compete with imported products. Like the textile and furniture industries before us, the automotive equipment industry was being off-shored in search of cheaper labor. Faced with a choice of importing products or shutting down a portion of our business, I elected to bring equipment in from overseas. We spent two years selecting vendors that could and would produce equipment that met our rigid standards of quality and safety. 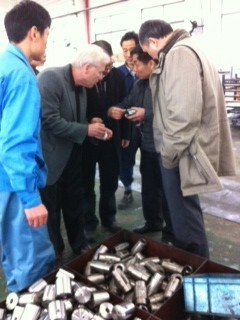 We continue to monitor the development and production of our foreign made products. We maintain a presence inside the manufacturing plants that work for us. I can assure our customers that the quality of production in our plants equals or exceeds the quality of most American manufacturers. While I wish that we could build these products in this country competitively, the reality is that we can’t. And sadly, the American buying public doesn’t care. We still offer American made lifts. Last year, only 13 people were willing to pay for an American made Eagle lift. 13! Like all of the other lift and frame machine manufacturers and distributors, we are forced to give the people what they want, an inexpensive product. 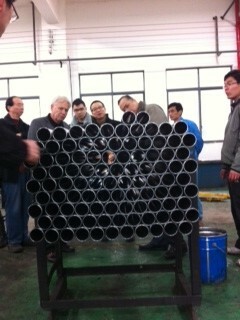 I see our goal as providing the highest quality imported product and a competitive price. Now let me share my final thoughts on this subject. There are currently 50 employees and their families here in North Carolina that depend on Standard Tools for their livelihood. They come from all over: Rick and Terri are from Pittsburgh. Bill is from Chicago. Phil and Jennifer are from Long Island. Carmen is from Miami. Her parents fled Cuba to escape communism under Castro. Bam, Dhuen, and Soh are Monteynards from Vietnam. They are refugees from the internment camps set up by the Vietnamese following the fall of South Vietnam. Rada is from Bosnia. He fled from the civil war in his homeland in the Balkans. All are Americans and all love their country dearly. We are a great nation and we will continue to grow and prosper. However, in the new global economy, we must work with other peoples and nations to achieve prosperity. The world seems to have gotten smaller in my 60+ years but not more understanding. There is still no place for ignorance and bigotry. It is easy to blame our problems on foreigners, including the Chinese factory worker. The truth is that it is not their fault. They are just like us, people that love their families and are working hard to provide for them. We just come from different places.